Our neonatal infusion pumps have some cutting-edge technological features in order to take care of the youngest patients. 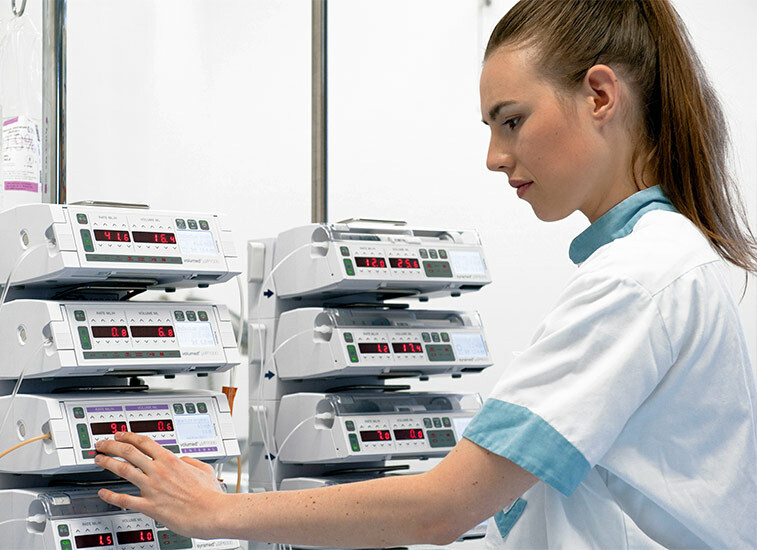 From adjustable pressure limits to adjustable air limits, our entire range of neonatal infusion pumps seek to provide the best protection for the smallest of patients. 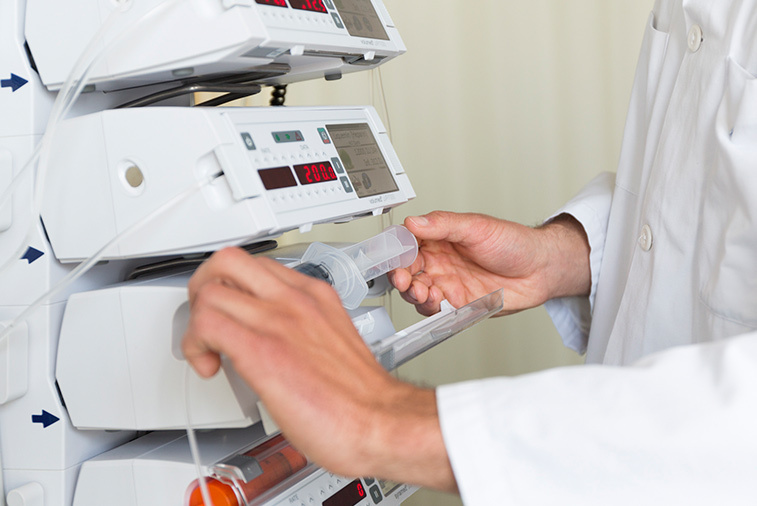 Our neonatal infusion pumps also include special safety design features. These pumps offer secure syringe loading to ensure immediate start on low rates and the dose-error-reduction system guarantees the proper administration of infusion therapies. Lastly, pediatric infusion pumps by arcomed are compatible with IDMS/PDMS and are easily stackable into the docking station. This improves handling and operability for the doctors and nurses at the hospital. Rate up to 999 ml/h, steps up to 0.1 ml/h. Secure loading of syringe to ensure immediate start on low rates. Rate of 0.01 – 1500 ml/h. Rate up to 999 ml/h, steps of 0.1 ml/h.